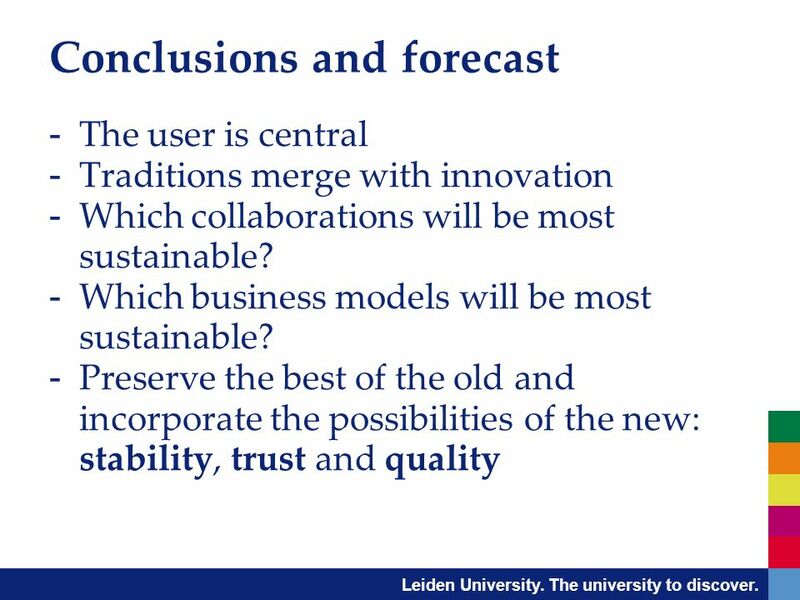 Leiden University. The university to discover. 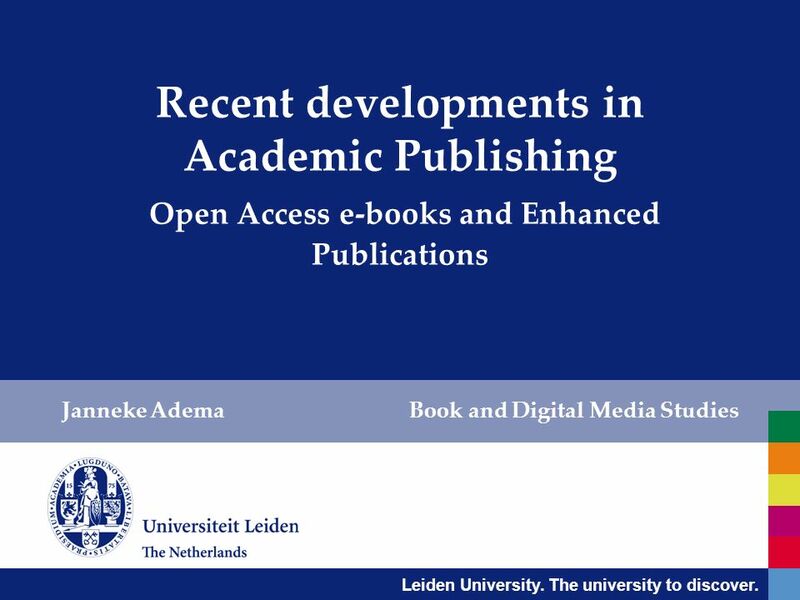 Recent developments in Academic Publishing Open Access e-books and Enhanced Publications Janneke Adema Book. 6 Leiden University. The university to discover. 9 Leiden University. The university to discover. 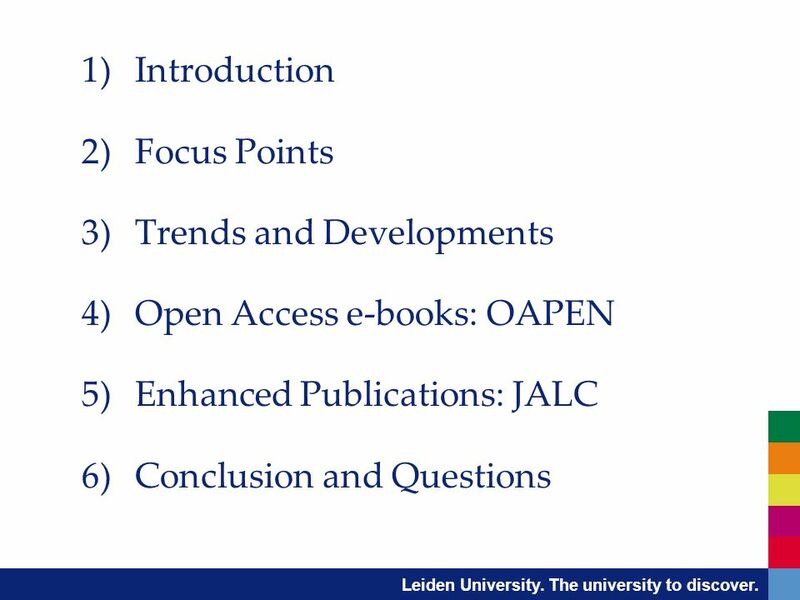 Main Goal OAPEN will create an Open Access publication network for publishers and other stakeholders involved in academic publishing within research in Humanities and Social Sciences. 15 Leiden University. The university to discover. 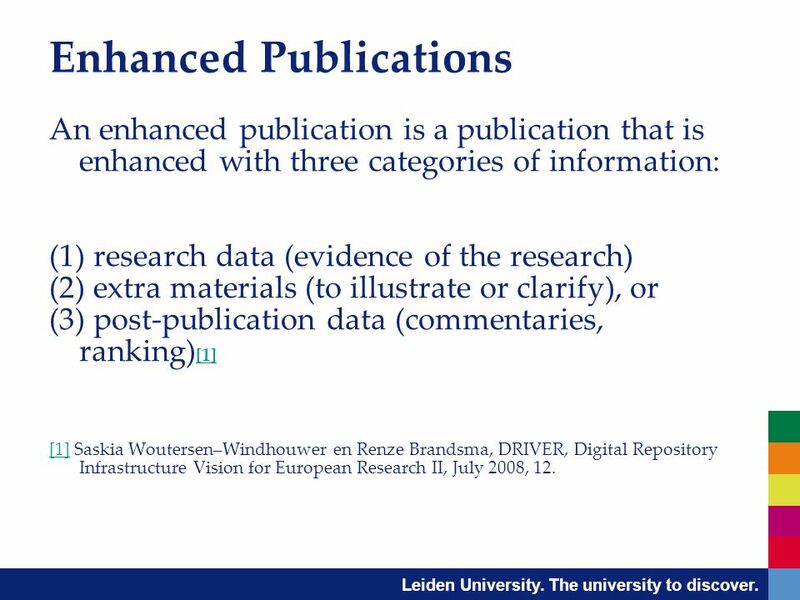 Enhanced Publications An enhanced publication is a publication that is enhanced with three categories of information: (1) research data (evidence of the research) (2) extra materials (to illustrate or clarify), or (3) post-publication data (commentaries, ranking)    Saskia Woutersen–Windhouwer en Renze Brandsma, DRIVER, Digital Repository Infrastructure Vision for European Research II, July 2008, 12. 16 Leiden University. The university to discover. 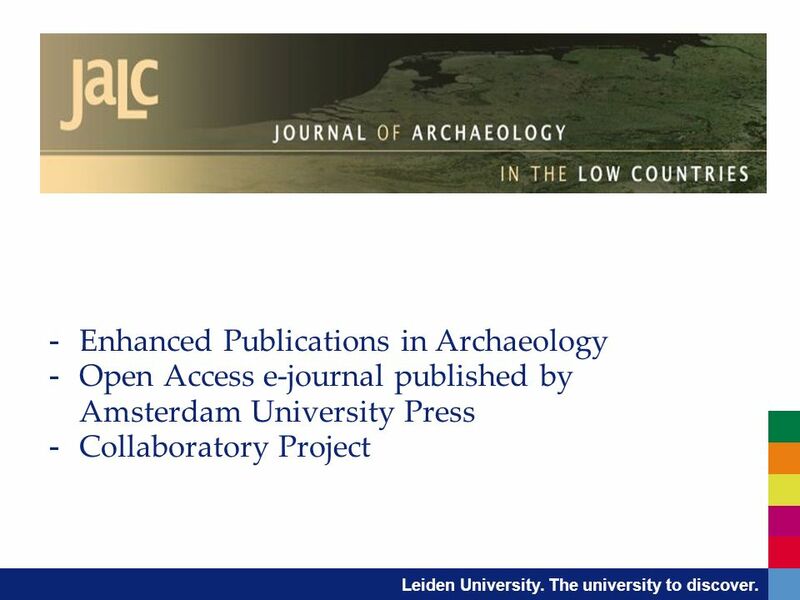 - To gain experience with the organization and technique of assembling and making available enriched publications - Collaborative project - the e-depot Nederlandse archeologie (EDNA), in cooperation with Data Archiving and Networked Services (DANS) and the Digitaal Productiecentrum (DPC). - The project contains work packages that address the technical, archaeological and user issues. 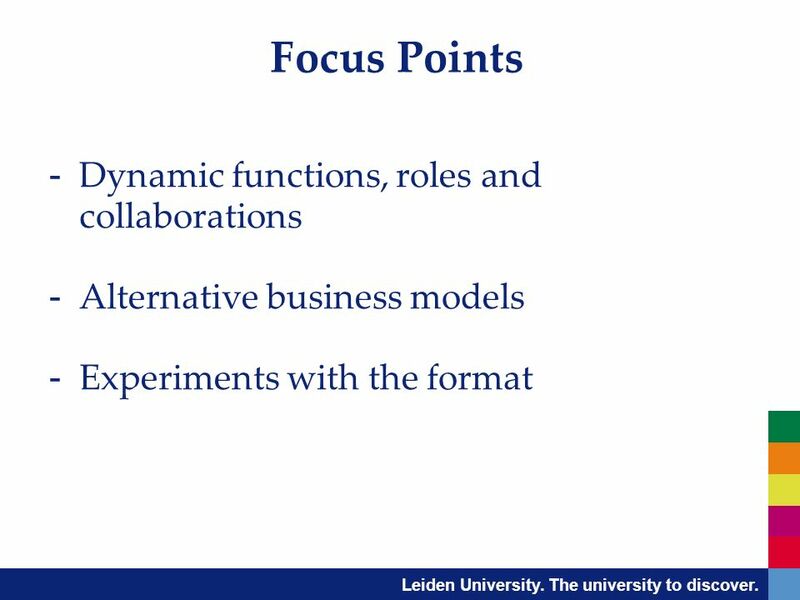 Download ppt "Leiden University. The university to discover. 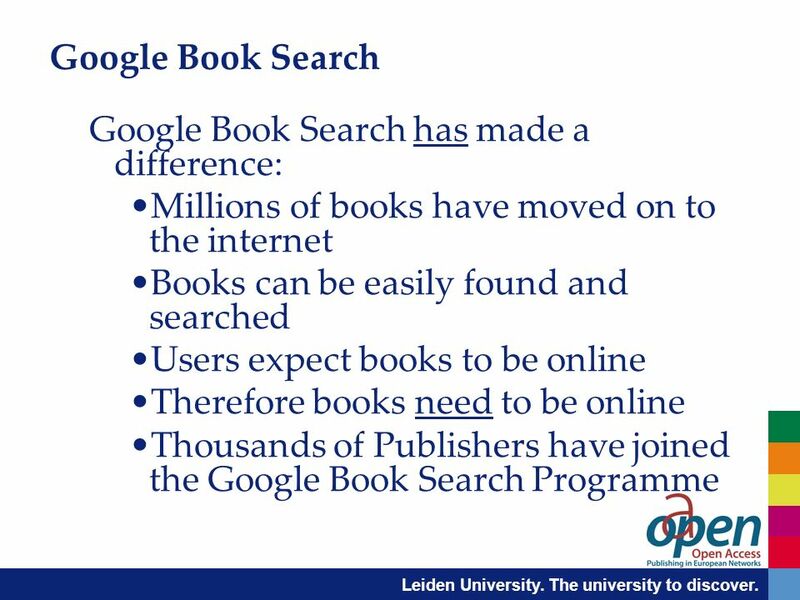 Recent developments in Academic Publishing Open Access e-books and Enhanced Publications Janneke Adema Book." 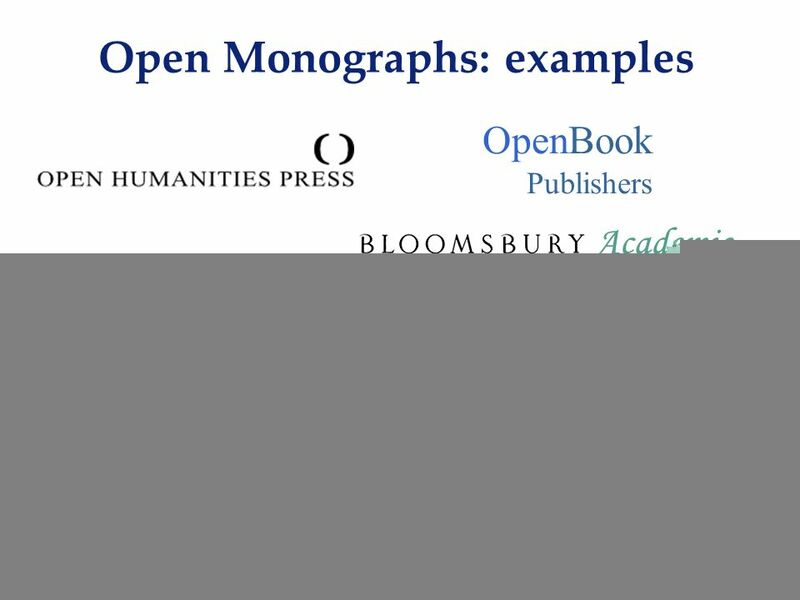 Open Access Monographs E-Books and E-Content, 12 May 2009 Eelco Ferwerda Amsterdam University Press. 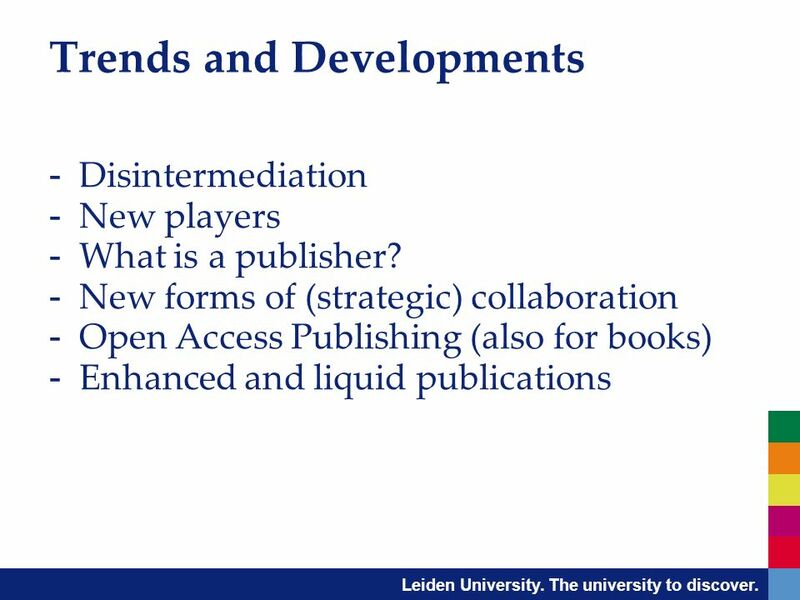 Institutional Repositories: Laying Foundations for a New Era of Scholarly Communication? Jessie Hey Online Information London, UK 1 Dec 2004 A practical. Caren Milloy, Head of Projects, JISC Collections & Graham Stone, Information Resources Manager, University of #oapenuk. Caren Milloy, Head of Projects, JISC #oapenuk. CHLA, Ottawa, May 2007 Presented by: Cameron Macdonald, Director, NRC Research Press. 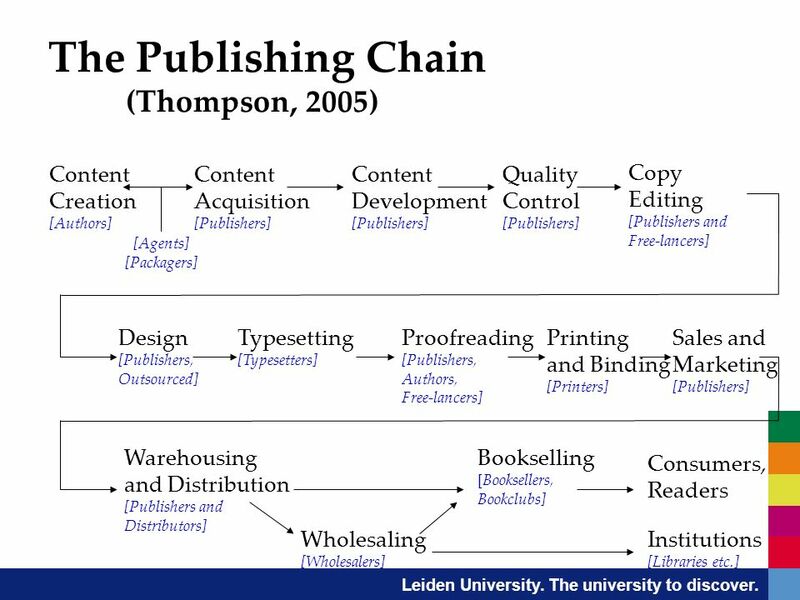 EScholarship: Publishing the work of UC Catherine Mitchell Director, eScholarship Publishing Services California Digital Library University of California. Caren Milloy, Head of Projects, JISC Collections & Ellen Collins, Research Officer, Research Information #oapenuk. Gaining Momentum for Open Access Bas Savenije, Director General KB Tartu, Open Access Week 2011, 28 October 2011. 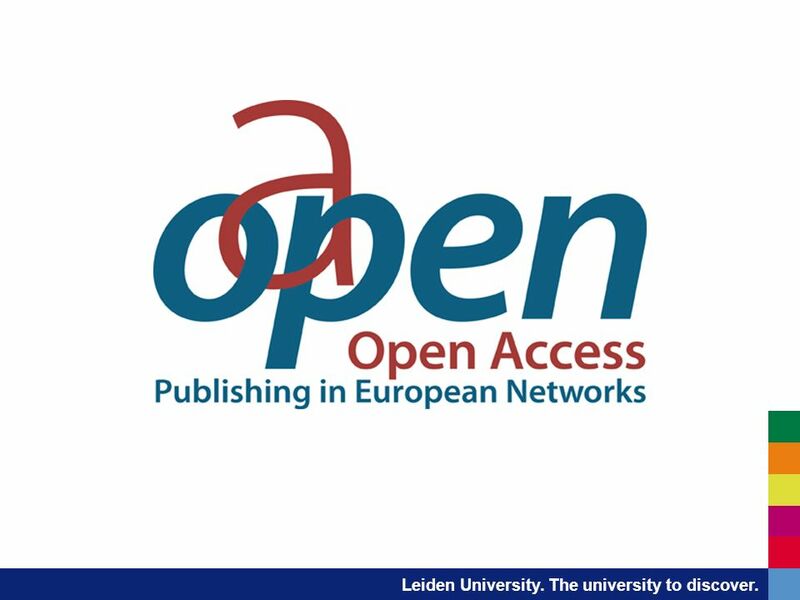 OPEN ACCESS Your Publisher of Choice DE GRUYTER OPEN Society-Pays Publishing Program. V. Proudman, OR09, Atlanta 18 May 2009 The plan WhoThe Project Manager Goal and corresponding tasks today Interim results, and sneak preview of a new service.